You can see the container design and the package design here, love the concept of using colors and numbers. 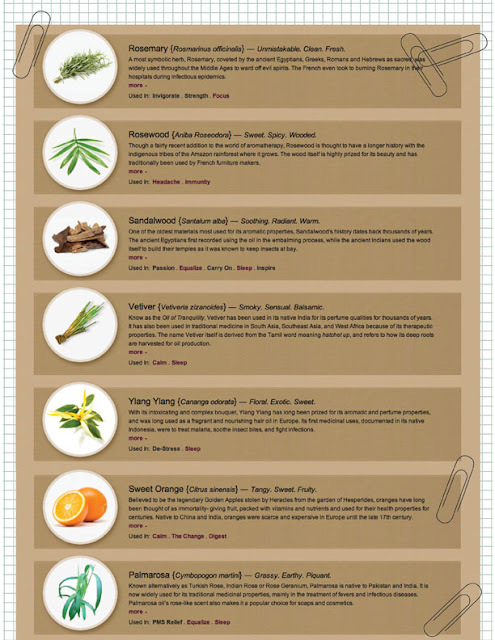 You can also purchase drop trios to combat jetlag and sickness. 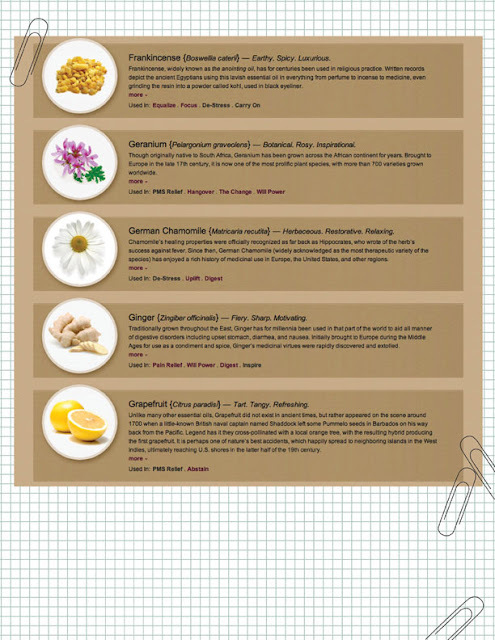 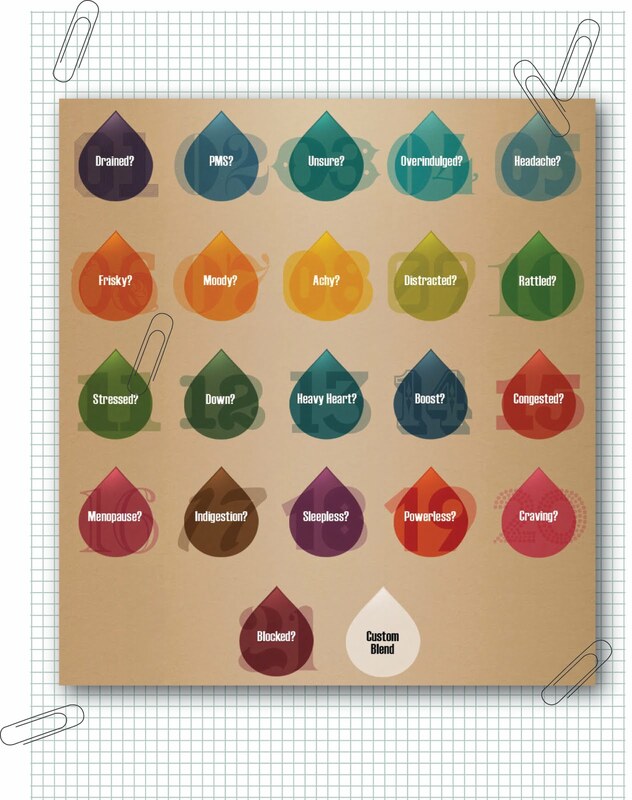 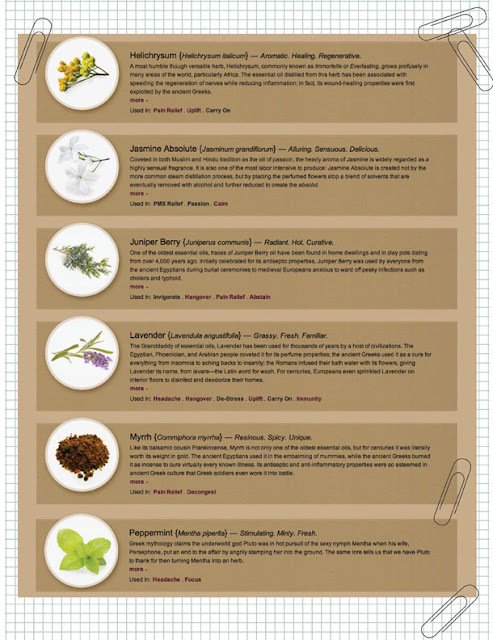 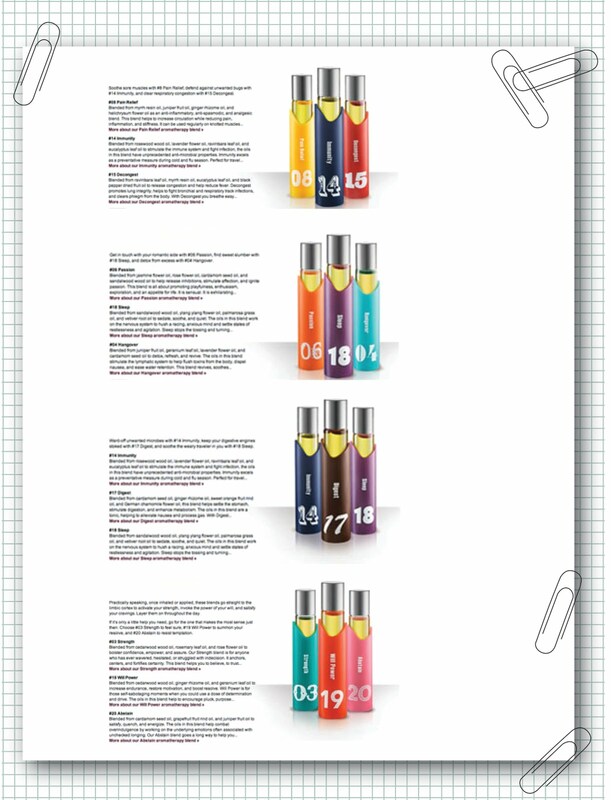 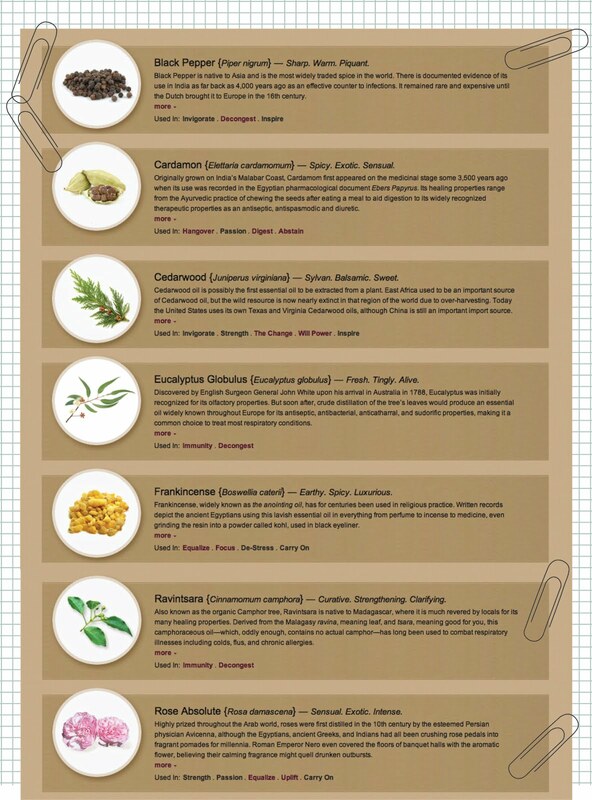 The oils they use in their blends....quite a few and interesting to read about.